Known as the world’s longest driver, the 6’ 6” golfer burst onto the scene of professional golf and long-drive competitions in 1974 by winning the World Challenge Long Drive Contest in New York. With a blast of 366 yards he defeated, among others, Jim Dent, considered the longest driver on the PGA tour. After watching Williams, Joe DiMaggio said. “They should lock him up in a cage.” Almost single-handedly, Williams brought long drive competitions to the forefront of sports with exhibitions in 26 countries. Over the years, Big Cat won numerous national long drive titles in the United States, Australia, and Bermuda. Big Cat has also served as color commentator on ESPN, written a book, and has been inducted into the Long Drivers of America Hall of Fame. In an effort to identify defining moments in golf history, the modern essayists focus on the emergence of the game’s Renaissance Man. The theory is that in the 21stCentury golf has tapped into a reserve of uber athletes – big, strong, able to leap tall buildings in a single bound and possessing the intellect so important in golf. The narrative is that the success of the new breed is somehow a contemporary phenomenon, that today droves of outstanding young golfers are coming from outside the traditional sources. They are coming from basketball, football, baseball and hockey. It’s true, of course, but it’s not new. 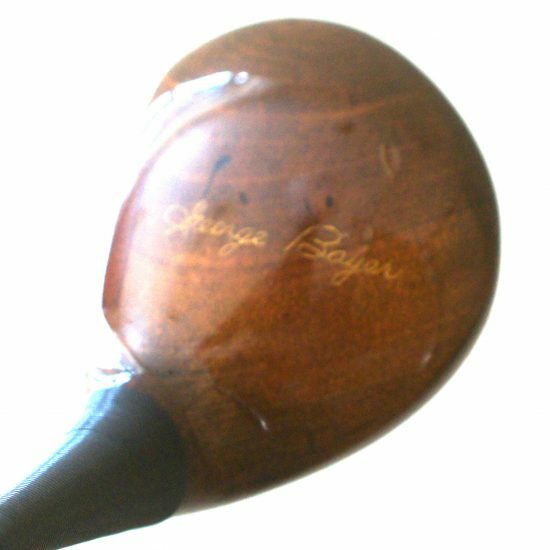 Decades before anybody imagined what the modern golfer would look like at the turn of the century and beyond, the son of a Polish mother and Welsh father provided the prototype for the Renaissance Golfer. Evan “Big Cat” Williams was 50 years ahead of his time. He was a man for all seasons and today is remembered fondly as the Godfather of the long ball. Williams redefined distance in golf, where everybody loves the long ball. He is the man who put the long drive on the golf map by winning the U.S. National Long Drive Championship in 1976 and 1977 after ironically missing the first such event with an illness. But he more than made up for it not only with his legendary feats of power but also his charisma and good nature. The back story was also quite engaging. Truth be told, his introduction as a long drive champion is the stuff of Hollywood screenplays. Williams was a multi-sport star in high school. His go-to sport, not surprisingly for a young man who stood 6-foot-6, was basketball and he earned a scholarship to play at Canisius College. After two seasons, he transferred to Franklin (Indiana) College. There, he set records in golf, basketball, football and track. He was good enough to earn professional tryouts. A 76-yard punt got him invited to a NFL tryout with the old St. Louis Cardinals. Thirty-six points and a 27-rebound game were enough for the New York Knicks and their General Manager Red Holtzman to show interest. Williams was in the caddie yard at Englewood Country Club, in his native New Jersey, waiting for a loop when the phone rang. The football Cardinals also extended an invitation. Upon graduating from college in 1971, he returned to New Jersey and became an assistant golf professional on his home course at Englewood CC where he befriended golfers and golf legends and ultimately became the PGA Professional. It was during his days as an assistant that Williams’ career began to be shaped. Any Hollywood script writer could have had a field day with the scenario – an unknown stepping out from behind a curtain and knocking off the best of the best. A major national golf publication declared in a cover story in 1974 that a man named Jackie DePaulo was the longest driver of the golf ball in the world. An exhibition was organized at the famous Grossinger’s Resort in the Catskills to determine the accuracy of the statement. Jim Dent, the longest driver on the PGA Tour at the time, was among the contestants and the favorite to win. One of the invitees was a young assistant professional from New Jersey. Williams, the unknown, was invited through an acquaintance. Williams unleashed a massive drive of 366 yards – with a steel-shafted driver and persimmon head – and beat Dent by 12 yards. DePaulo was a non-factor, finishing fourth a full 35 yards behind Williams. After back-to-back titles in the Long Drive Championship, the legend of Big Cat was in full bloom. He quickly became one of golf’s biggest draws with his trick shots and long ball demonstrations. Famously, one of Williams’ most riveting trick shots was the ability to hit a golf ball through the thousand pages of a regulation telephone book. “I used to tell people if you were in a hotel room and couldn’t find the phone book, I beat you there,” said Williams, who probably hit a thousand golf balls through a thousand telephone books. It must have been the pierogi. He still has the papers with which his Polish grandparents – the Lapinskis – entered the United States in 1913 through Ellis Island. He values the age-old traditions and the memories of his mother, Helen, and father, Tudor Penrose. Practicality wasn’t a choice back then. It was a necessity. “My mother was all about wearing it out, using it up. Never throw anything away,” Williams said. Those stories and memories resonate for Williams which makes his induction into the National Polish-American Sports Hall of Fame a heartfelt time in his life. “It is very special,” Williams said. Williams spent the first 33 years of his life in New Jersey. For the next 33 he was based in Michigan, with his wife, Susan, and their two sons, David and Danny. 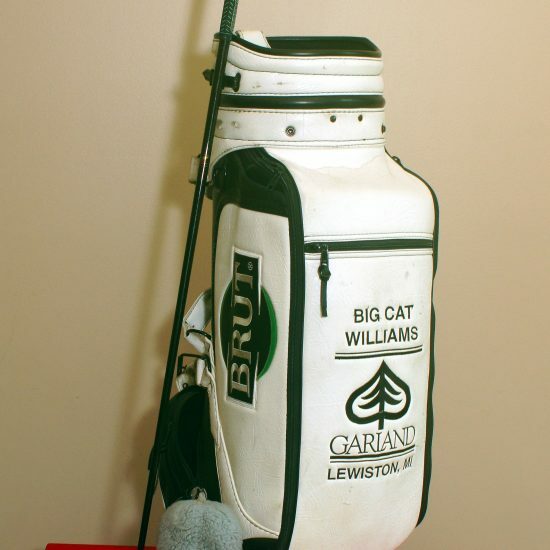 Truth be told, the nickname – Big Cat – represents something other than Williams’ physique or ability to hit a golf ball miles and miles. It represents his ability to get hit and knocked down. True story. It was the same night in 1966 that Muhammad Ali pummeled Cleveland “Big Cat” Williams in a heavyweight championship fight at the Houston Astrodome. Williams didn’t have those kinds of days with a golf club in his hands. 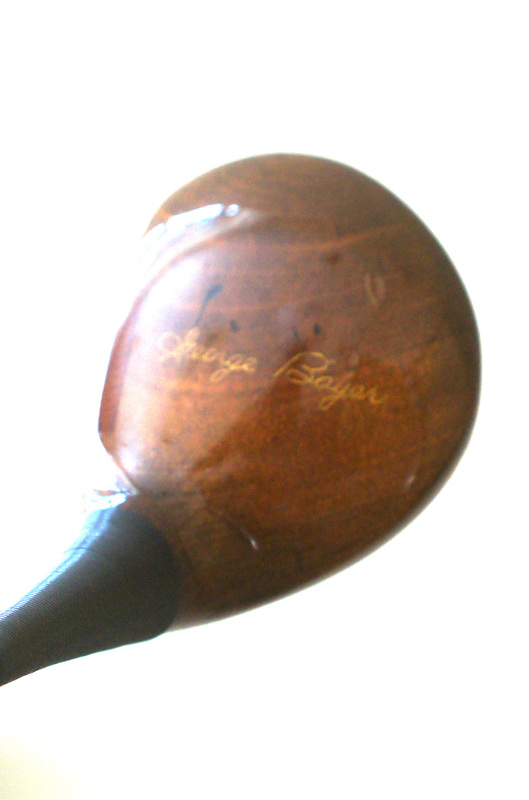 He played briefly on both the PGA Tour and the PGA Tour Champions. He appeared in 45 states and 26 countries but, ironically, never in Poland. He once played well enough to earn an exemption to a tournament on the Old Course at St. Andrews, Scotland. Williams didn’t make the trip. That is so typical of Williams, a gentle giant and a man who learned how to be thoughtful and give back from Helen and Tudor. Big Cat learned the game at Englewood CC. The family home was close enough so he could go out his back door, jump over the small creek and find himself on the fifth green. It included finding used golf balls to play with and the neighbor next door giving him a 6-iron, the only club in his quiver. He used it to learn how to hit all the shots. For the longest time, Williams couldn’t appreciate how far he was hitting those shots. 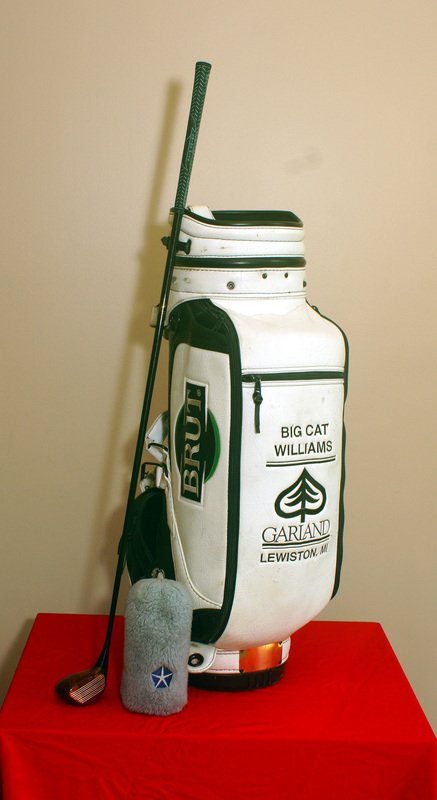 In 2005, Evans Williams was inducted into the Long Drive Hall of Fame. 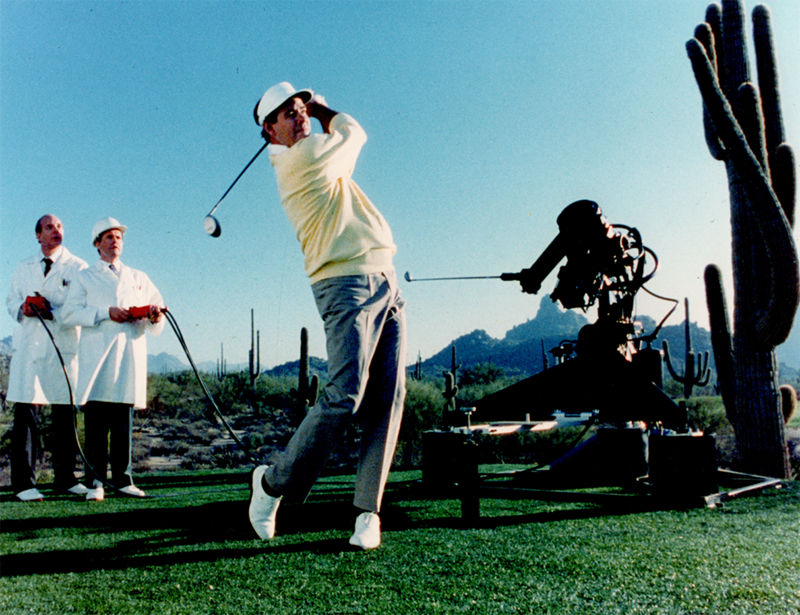 He has spent nearly a half-century as a member of the PGA of America. 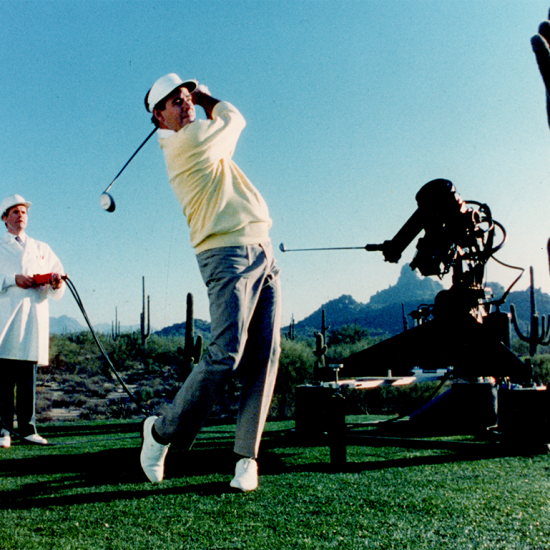 The life of golf’s original Renaissance Man has been a life well-spent.